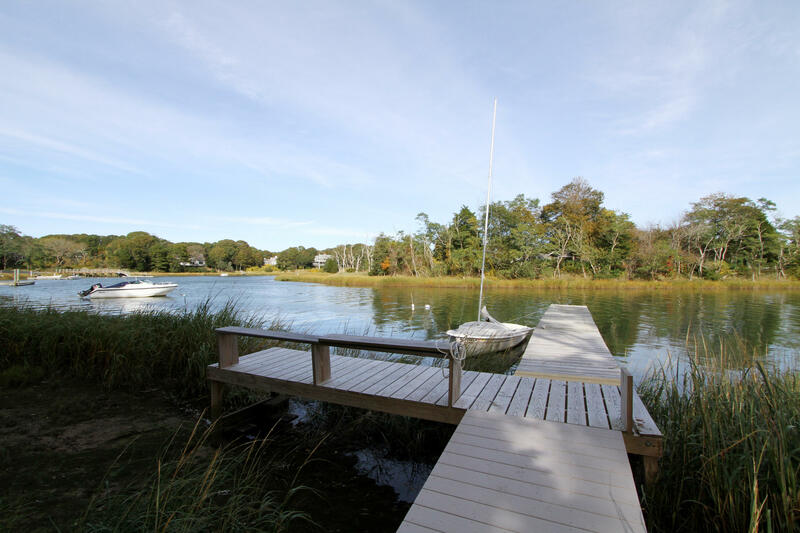 Like new stunning cape contemporary waterfront home with licensed dock and 220 feet of salt water frontage and deep water access to Pleasant Bay and the Ocean.Cape Cod casual elegant design providing magnificent picturesque views from all rooms. Open floor plan with walls of glass and kitchen designed for entertaining. 1st and 2nd floor master suites. Lower ground level walk out just finished with a large family/media room and bath. Abutting 12 acres of the White's Lane Conservation Area with walking paths and nesting gardens for Diamondback Terrapins, this property offers a rare and unique opportunity to enjoy preserved open space just a few steps from home. Truly a special place for the buyer who enjoys boating, nature and wants a private setting. Directions to Property: Monument Rd., Orleans to 40 Gesner Rd. at the end.